Cuvée Sensorium, with the world’s first Champagne bottle exclusively in porcelain. 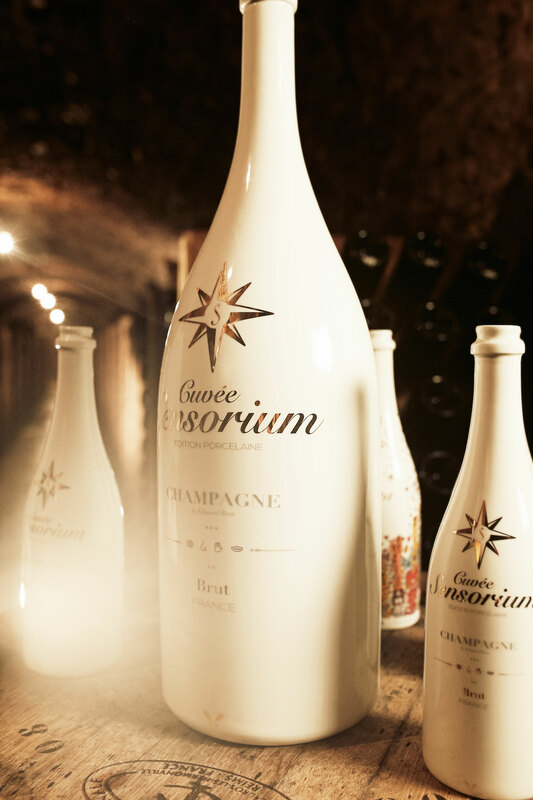 At the end of last year Cuvée Sensorium launched in Paris the very first Methuselah Champagne bottle made out of porcelain. The entire Champagne tradition and all the refinement it stands for has always relied on bottles made of glass. This seemingly necessary symbiosis has been unchanged for more than 200 years. Now, for the first time in history, the idea of creating Champagne is met by a fresh inspiration – an innovation which in itself is worshipping old traditions and myths. 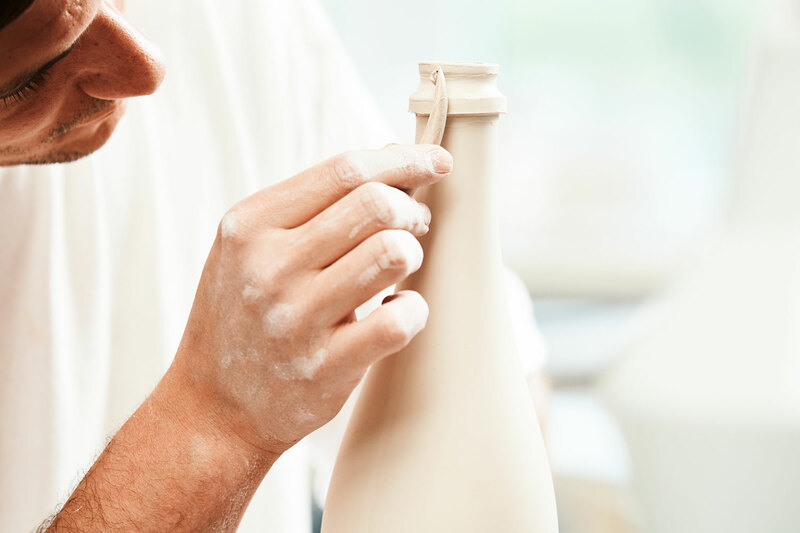 A wide array of skills and unparalleled expertise is required to make each handmade bottle a unique work of art. The bottles follow a contemporary design consisting of a pure, brilliant white enhanced with minimalist decoration made of 24 carat gold, magnifying the brand name and its symbol, the compass rose. The Champagne is produced by the Edouard Brun Champagne House, a family estate dating back to 1898. Cuvée Sensorium – Brut Premier Cru is a symphony of carefully selected plots of vineyards exclusively premier cru from the prestigious terroir of Montagne de Reims with a blend of 70% Pinot Noir and 30% Chardonnay. It’s important to us that champagne enthusiasts can enjoy our champagne and experience it up close. This opportunity is perfect for the different moments of the Amber Lounge. Monaco is also a fantastic international place synonymous with glamour and luxury, two core values which perfectly embody Cuvée Sensorium. They can expect the unexpected by discovering a world premiere and unique creation with the one and only champagne in a porcelain bottle. It is a true innovation in the champagne market. 100% handmade. We preferably drink our champagne pure, it is just too good to be mixed with other ingredients.